Toronto Maple Leafs players William Nylander and Kasperi Kapanen were involved in a minor car accident Friday afternoon. A team official confirmed in an email to The Canadian Press the collision occurred near the Leafs' practice facility in the city's west end. It's unclear which player was behind the wheel at the time of the incident. The 22-year-old wingers were both on the ice for the team's 12 p.m. practice at MasterCard Centre. Toronto was scheduled to fly to Boston later in the day ahead of Saturday's game against the Bruins. 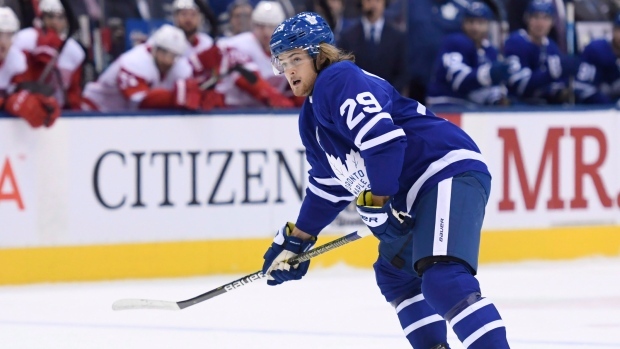 Nylander returned to the Leafs following a prolonged contract impasse that ended last weekend with the restricted free agent signing a six-year, US$45-million deal. The Swede had just taken part in his first full practice of the season with Toronto after making his debut in the Leafs' 5-4 overtime loss to the Detroit Red Wings on Thursday night.